We teach kids how to shoot, dribble, drive, defend and score like a pro. I.S.T’s basketball program is overseen by Coach Mike Garrity. He provides a fun and instructive environment whether you’re just starting out or on track for the Varsity team and beyond. Clinics are held at Greens Farms Academy, during the summer, at Compo Beach in Westport. Clinics are open to kids throughout the area. 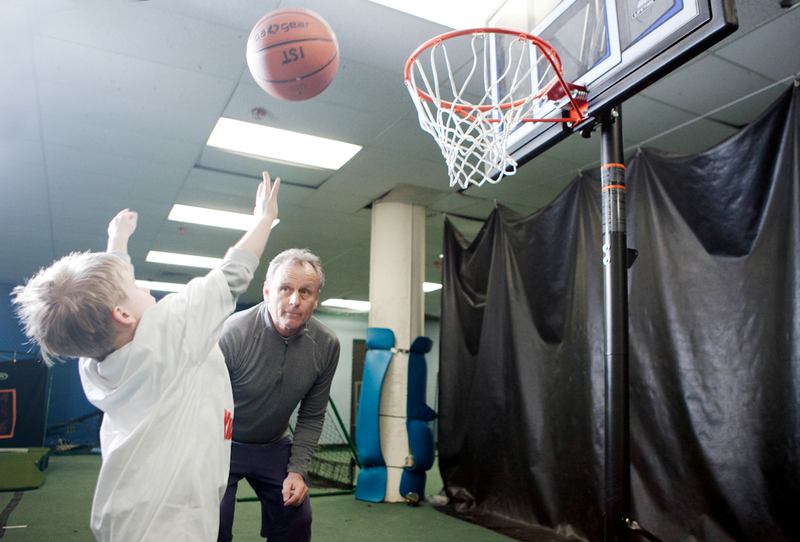 Coach Mike's basketball "GAME PLAY" clinics allow players to make enormous strides quickly. Players experience competition in a structured environment to develop on-court awareness, strategy and focus. I.S.T.’s unique approach incorporates fitness while learning the fundamentals or perfecting specific skills. To become an elite basketball player, you must combine technique, speed, strength and power. Conditioning is an essential part of any basketball player’s repertoire and at I.S.T., you become better prepared to compete all-season long. Private instruction, taught by Coach Mike, available 7 days a week, year-round. Each session can be customized to specific needs. Lessons focus on pitching, catching, hitting, fielding or fitness; or any combination. Call 203-855-9213 or email with any questions and we will contact you within 24hrs. Learn more about our basketball staff.